As a commercial photographer it’s very important to have a strong assistant. I like to light and when you shoot everything from trucks at night to big casinos you haul enough cases to throw out the average back. That’s why it’s important to have an assistant that is strong enough to win at arm wrestling a Viking. 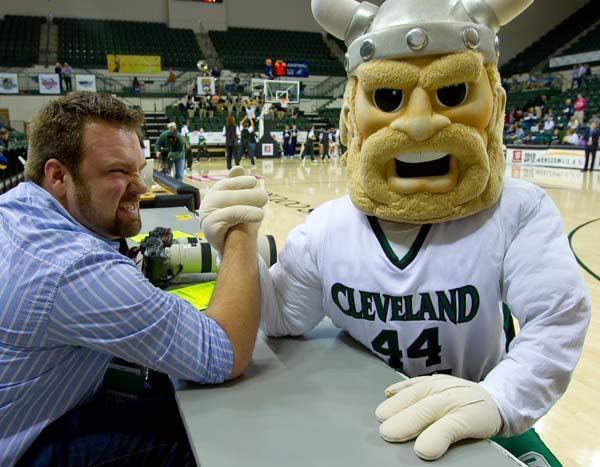 Here my assistant Matt Ludtke takes on and wins an arm wrestling match with the Cleveland State Viking. 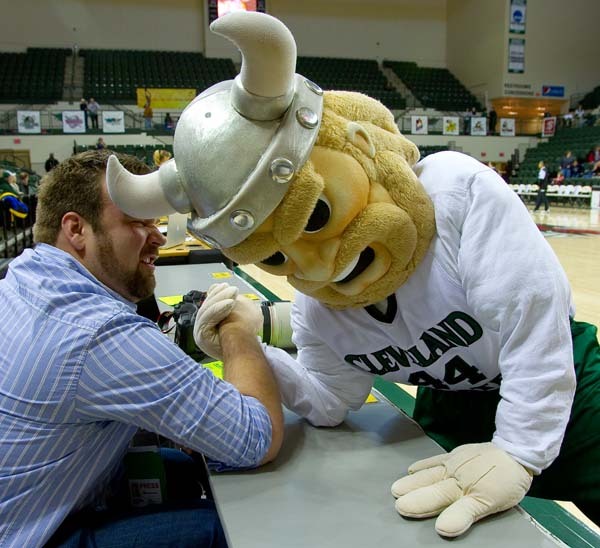 Matt Ludtke takes on and beats the Cleveland State Viking in arm wrestling. I'm so proud to call Matt my assistant. « Skating Sisters and “The Flying Nun”.